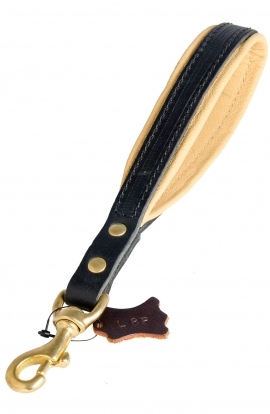 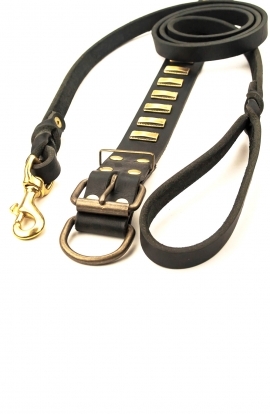 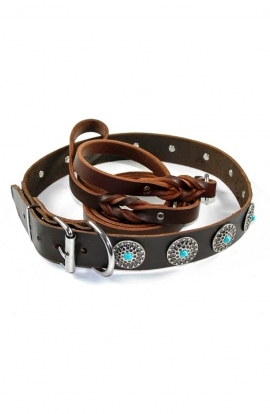 Have a precise look at this short leather dog leash only 12 inch in long. 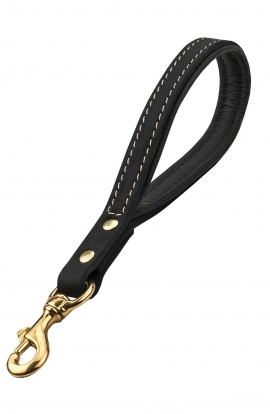 It is a comfortable and quality dog supply, which will be of great use for you. 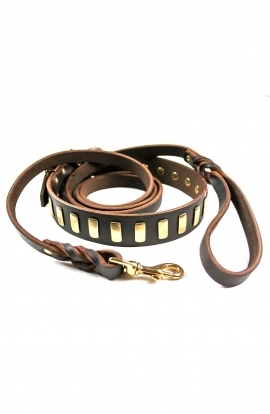 Dreaming about better control over your beloved doggy? 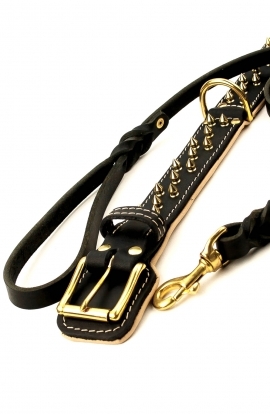 In such a case you’re on the right track. 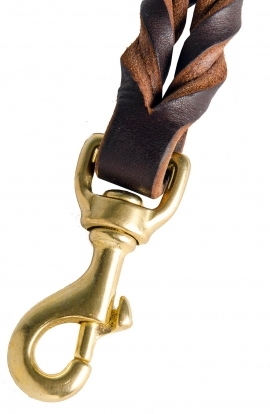 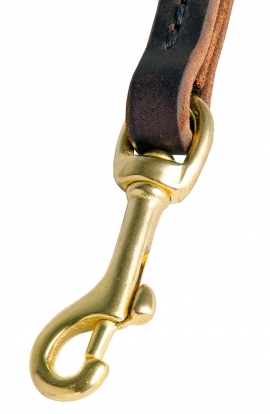 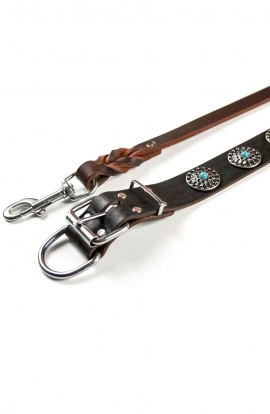 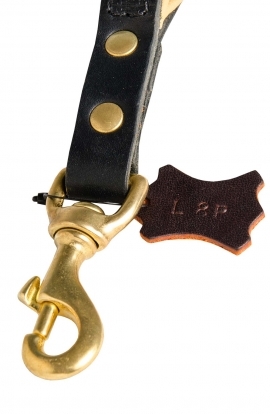 Look at this Amazing Short Leather Dog Leash. 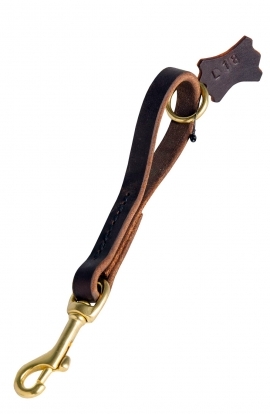 What can you use it for? 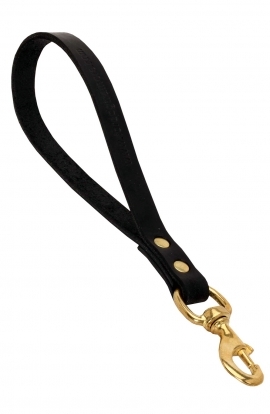 Whatever you need - walking, training, patrolling or getting your pet out of a car. 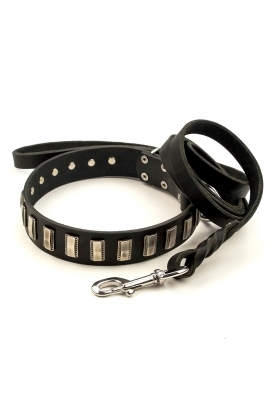 Walking out the door with your four-legged friend it is important to control him / her. 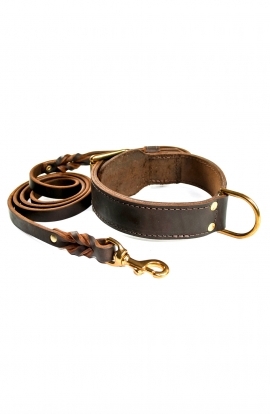 Probably, you won’t find any other better way to do it than to use this Short Leather Leash. 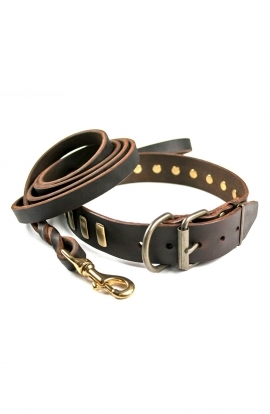 Despite the fact that it is short, it is rather durable. 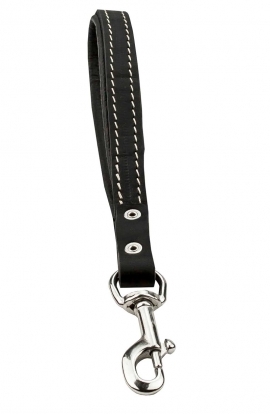 Short leather dog lead. 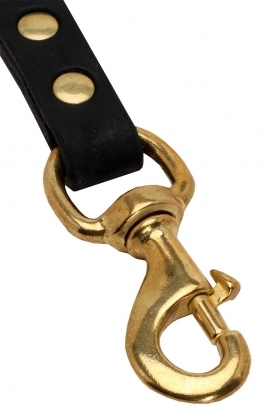 Support material on the handle for additional comfort of the handler. 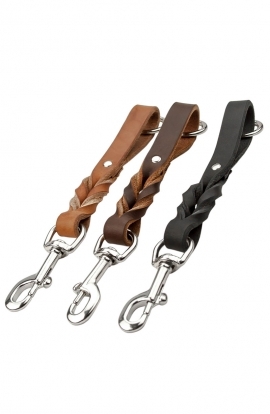 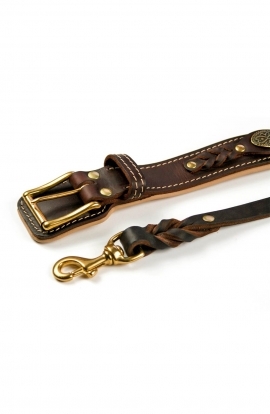 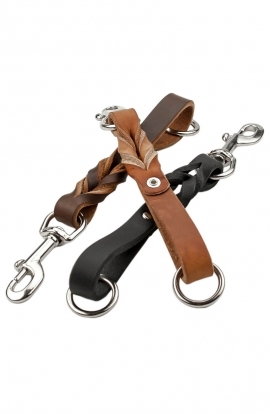 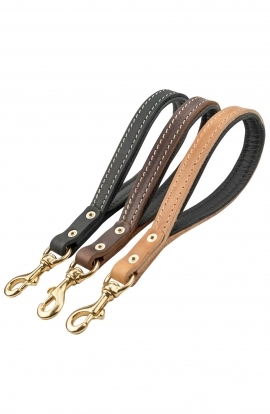 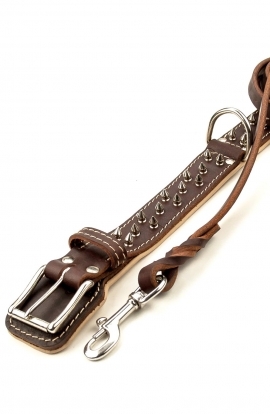 Please, pay attention to our Braided Short Leather Dog Leash with Stainless Steel Snap Hook. 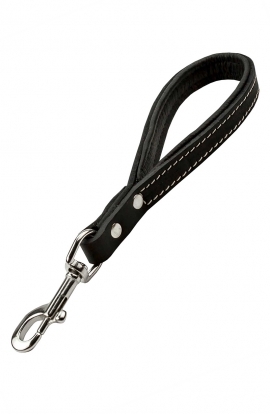 It can be perfectly used for training and walking activities with your four-foot friend.